Irish Record 4lb 2oz taken on 18.09.1979 by Ulrich Plassmann at Ballycotton. Mackerel are torpedo-shaped shoaling fish, designed to spend their life on the move. Creamy-white under-belly, silver flanks with pearlescent hues running through, and stunning iridescent green-blue shoulders and back. There is black marbling and stripes along the top half of the flanks. Fins are short and pointed with one main dorsal fin and a small row of dorsal fins towards the tail. Undoubtedly the most prolific and well-known species in Irish waters. Mackerel are found around the entire coastline in large shoals, although they are suffering terribly from commercial over-fishing. It is pointless naming specific areas around Ireland as these fish are normally caught out of every port and harbour in the country. Rocky headlands in deep water over a clean sea-bed are ideal target areas, or tidal sand banks that rise steeply, pushing bait-fish up through the water columns. Mackerel are on the move at all times, seeking out Sand eels or fry and can be seen rounding up large shoals of bait fish and driving them onto the surface, beaches or against rocky out-crops in a feeding frenzy. Most shore marks with a bit of depth close in will have Mackerel near-by, but boat angling offers the easiest opportunity to encounter this popular fish. Mackerel are definitely a summer fish. The season fluctuates from year to year, but generally speaking when the sea temperature begins to rise towards the end of May, shoals will appear inshore. The season peaks in July, August and September, then tapers off again towards the end of the year. Shoals tend to arrive a few weeks earlier on southern shores, coinciding with warmer seas. Basically, Mackerel will attack any small bait that moves, shines, flickers or wiggles. Rarely if ever, actual bait is required. 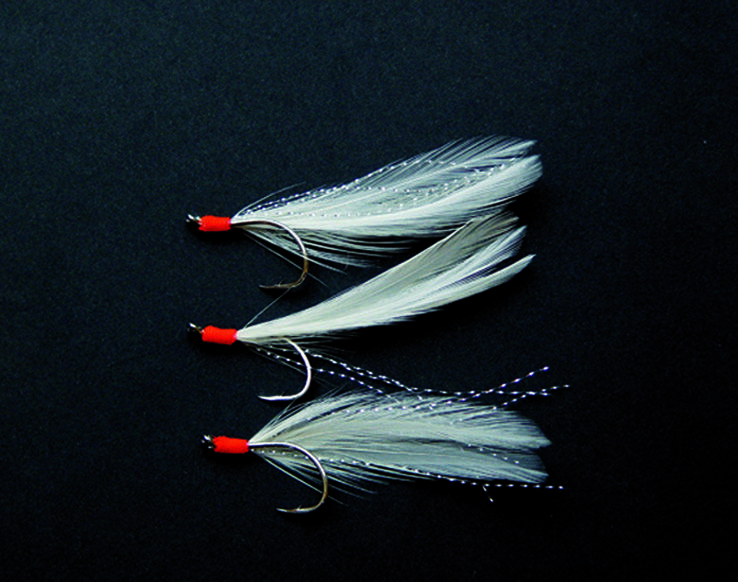 Simple feather rigs designed to imitate Sand eel or hooks tied with silver tinsel, Mylar or anything shiny that will look like Herring fry or white-bait. 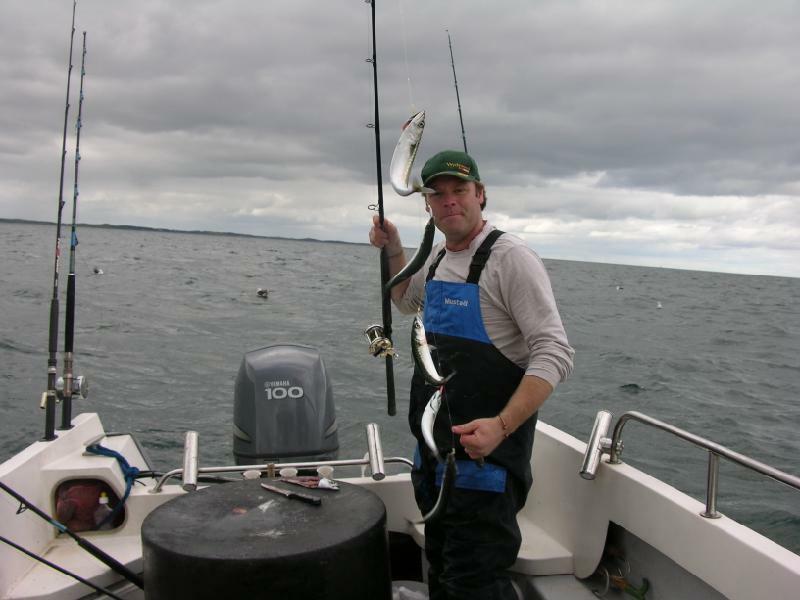 Great fun can be had float-fishing with light tackle and a thin strip of Mackerel on the hook. As a youngster, I spent countless summer days on Bangor Pier, County Down, float-fishing for Mackerel and Herring, and learning a great deal about angling in the process. Almost anyone who has fished in the sea will have encountered Mackerel so very little needs written on this subject. When boat angling, simply tie on a shop bought or homemade “string” of hooks, add a lead weight, drop to the seabed, wind up a few feet, then jig the lures up and down. Repeat at different depths until you locate the shoal. Most Mackerel fishing is done to acquire bait for the day ahead, and this is the most effective way to do so. Shore angling for Mackerel can be excellent fun. Light spinning tackle is ideal or when conditions suit, float fishing or fly-fishing gives the Mackerel a chance to show off its excellent fighting abilities for such a comparatively small species.